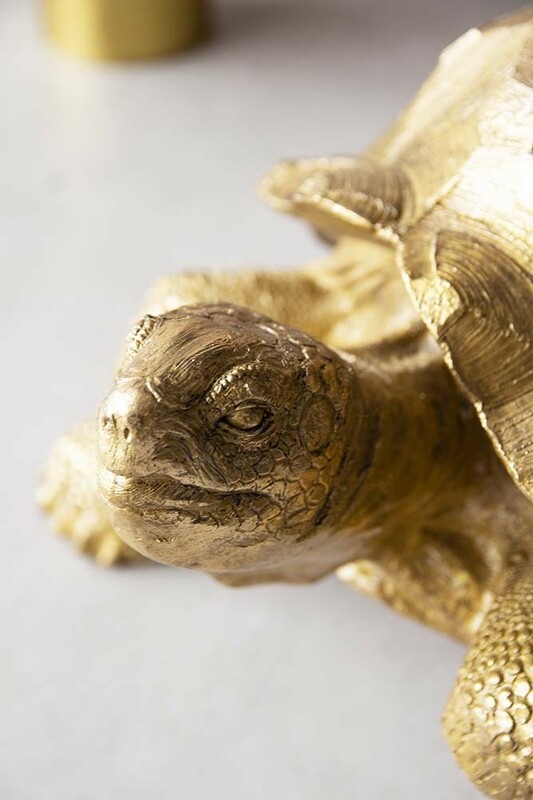 A large decorative ornament, the Gold Tortoise Display Ornament features an intricately detailed tortoise that will add quirky charm to your home decor. 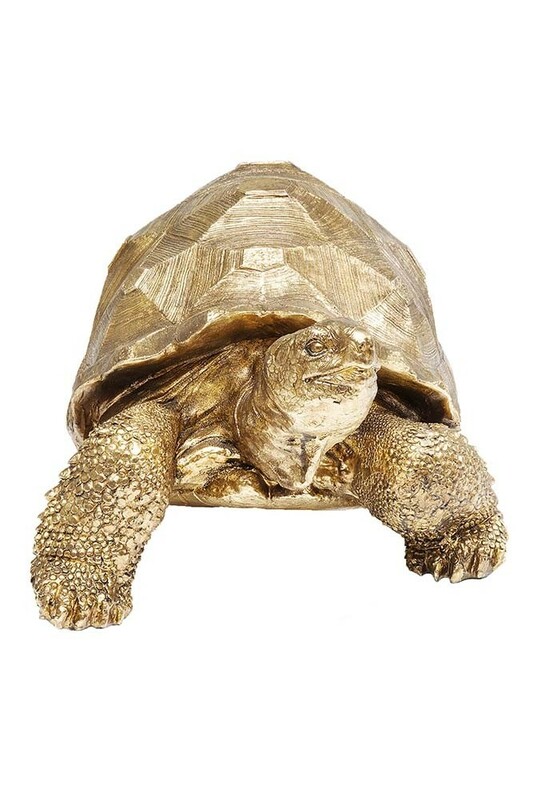 The Large Gold Tortoise Display Ornament is made from poly-resin and measures H32cm x W60cm x D40cm. When it comes to your home it's the accessories and pieces that make you smile or that have a unique and personal story that we know you'll love for years to come. Now, we know that finding pieces like this can take up a lot of time and research. So, to make it easier for you and to save you time, our fabulous co-founders, Jane Rockett and Lucy St George, are always on the hunt for unique home accessories that will create this unique feeling that makes a house a home. 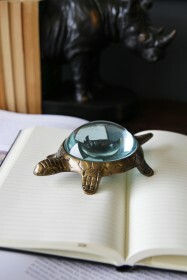 The Large Gold Tortoise Display Ornament fits this criterion perfectly! Larger than life any buzzing with eclectic charm this super quirky and cool display ornament will make your guests laugh and you smile every time you lay your eyes upon it. 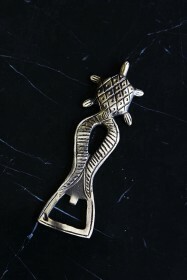 Exactly what you need to create an extraordinary home brimming with unique treasures! 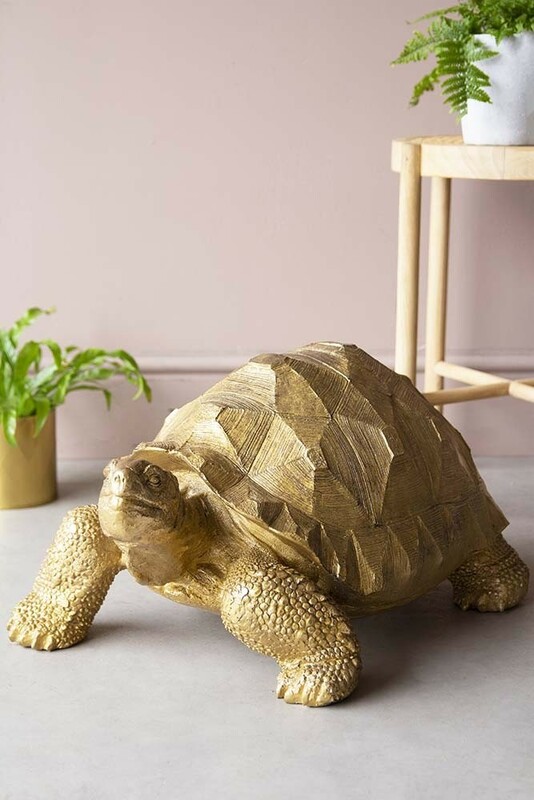 Just delightful, the Gold Tortoise Display Piece is so damn fabulous that you'll want to style him somewhere where everyone can see the quirky tortoise display piece. 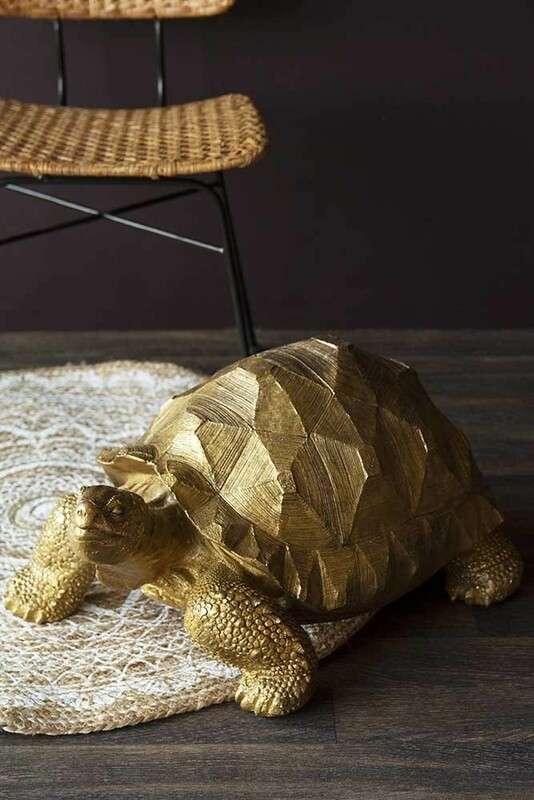 Our top tip would be to curate a style spot with your favourite side tables, statement armchair and then put the large Gold Tortoise Ornament on the floor to add a dash of fun and personality to the space. 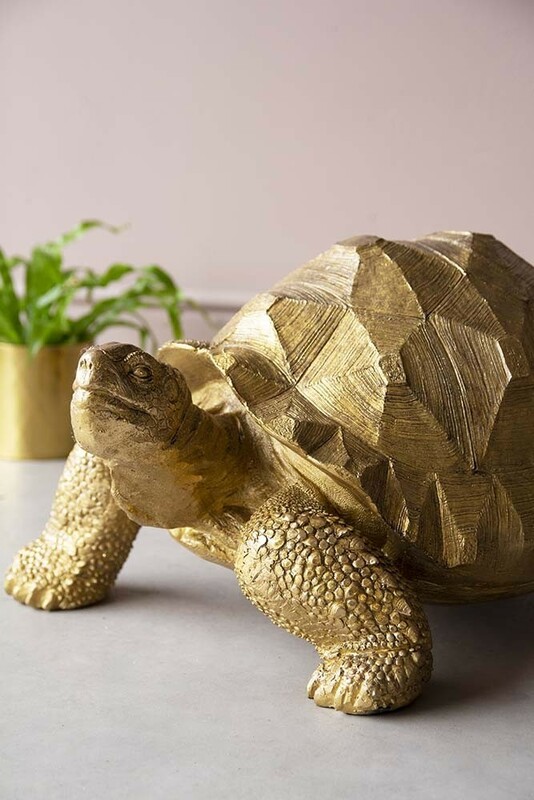 Whilst the Large Gold Tortoise Display Ornament is large, you could also display him on your dining room table or large and sturdy coffee table as an interesting centrepiece that will add grandeur and impact to your dining rooms and living rooms. This would look super quirky in larger spaces, but if you are styling him in a smaller space we would definitely pop him on the floor next to your armchair or statement sofa. 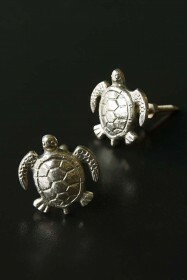 Also available in a smaller size, why not mix and match and create a quirky display of tortoises? !